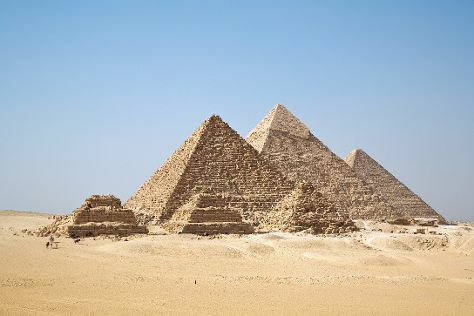 You'll find plenty of places to visit near Cairo: Giza (Great Sphinx, Pyramids of Giza, & more). Spend the 18th (Thu) behind the viewfinder with an inspiring photography tour. And it doesn't end there: explore the ancient world of Saqqara (Sakkara) Pyramids, see the interesting displays at Egyptian Antiquities Museum, stroll around Al-Azhar Park, and admire the striking features of Khan Al-Khalili. To find where to stay, other places to visit, and other tourist information, read Cairo online tour itinerary planner . If you are flying in from Brazil, the closest major airport is Cairo International Airport. Expect a daytime high around 34°C in April, and nighttime lows around 19°C. Cap off your sightseeing on the 21st (Sun) early enough to travel back home.